The 2018 debut of Fernie Distillers makes an already cool ski town even more fun. Making the ski town life work sometimes means stirring up your own job. Not to mention your own drink. Enter Fernie Distillers, which debuted on July 1, 2018, transforming a building standing since 1909 into downtown Fernie’s coolest new spot. 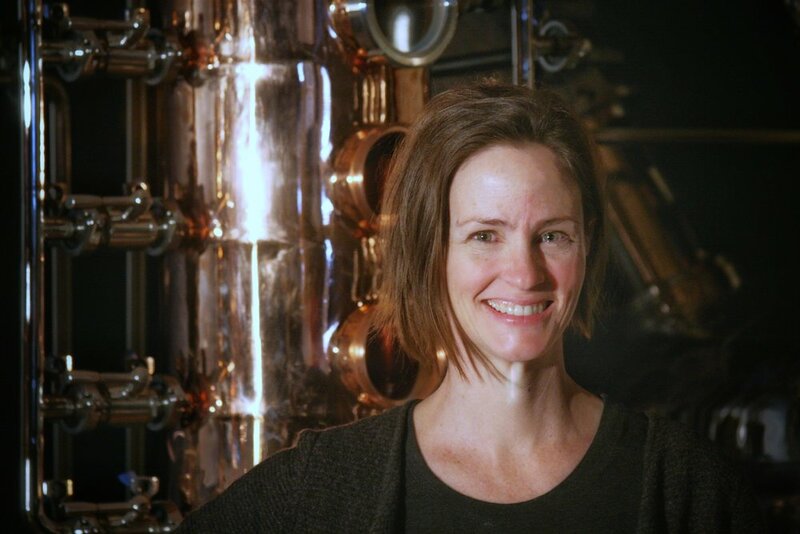 Rutherford (a geologist and geophysicist by trade) and Hayden (with experience in alcohol sales for big brands) saw their opportunity in British Columbia’s 2013 and 2015 legislative changes that made craft distilling an economically viable small business. The rules: Use only agricultural products from BC. Make everything from scratch, with no commercially-produced neutral grain spirits. Ferment and distill on site. Stay small – under 50,000 liters per year. Rutherford’s engineering background and process skills proved to be a strong asset. “I knew I could figure it out,” she says. Rutherford and Hayden invested about two-and-a-half years from the birth of their vision to Fernie Distillers’ opening day. Today the stylishly rustic-hip spot functions as production facility, tasting room, cocktail lounge and event space, with a traditional distilling process that takes about three weeks from grain to glass, in small batches of 200 bottles or less.